The Mx4 Training System will help drive membership with a totally unique group exercise experience, that attracts, engages and retains fitness enthusiasts. 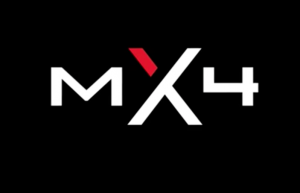 Only the MX4 Training System combines exclusive Matrix equipment and original turnkey programming, perfect for the club environment.It addresses multiple aspects of fitness – cardio, power, strength and endurance – in a unique, motivating and results driven framework. It features forward-thinking products, like our Connexus Functional Training System, S-Drive Performance Trainer, Rower and Krankcycle. You can easily modify the programming to fit the diverse needs of your members. Also scale the program to fit small groups, large groups and everything in between. Therefore by differentiating your club with MX4, members won’t just come back for more – they’ll bring their friends…Experience group training you can’t get anywhere else! Fitness enthusiasts choose you because they’re looking for something special, and the MX4 Training System makes it easy to deliver a signature group training experience unlike anything else. You’ll discover engaging new ways to address multiple aspects of fitness – like cardio, power, strength and endurance. This with all with the freedom and flexibility to do it your own way. That’s because it’s easy to modify MX4 programming to fit your customers’ goals, scale it to match the size of your group and expand it in smart ways as your needs/goals change. So no matter what your space, needs or goals might be, to conclude, the MX4 Training System can help you put a fresh, engaging twist on group training. Therefore when fitness enthusiasts discover you offer something truly special, they won’t just come back for more – they’ll make your business the centre of their fit lifestyle. Now that is a revolution in Social Fitness! Next Next post: Steve Barrett’s (Director of Global Training Education) take on MX4.